When it comes to teaching, content is king. Clear Touch Interactive panels are designed to put lesson content back in the center of the teaching and learning experience. Rather than struggling with finicky technology, projectors, or interactive whiteboards, teachers can now spend more time doing what they love: teaching their students. Interactive panels are both easy-to-use and provide an effective and fluid classroom teaching experience that boosts the quality and effectiveness of the teacher-student interaction. 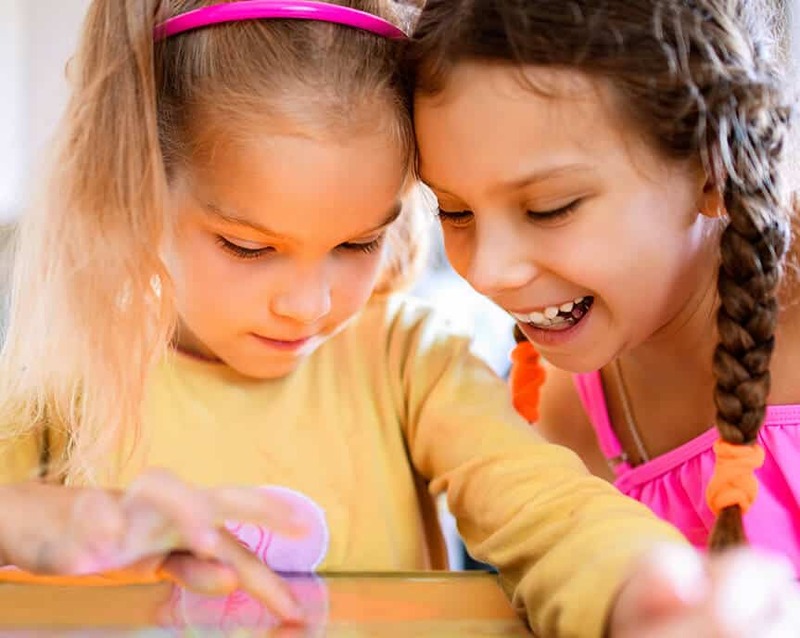 With an easy-to-use suite of educational software, Clear Touch Interactive panels allow you to easily create vibrant, interactive lesson plans for your students. If you need to record your lessons, you can easily do that with our EasiCapture software. With all of the software at your fingertips, you can easily adapt your lessons on the fly, drawing on top of lesson content, playing educational games, playing videos, or streaming content from another device. Want to use Powerpoint or another software? Not a problem! We are software agnostic—meaning we allow you to use the tools that best promote learning. Clear Touch Interactive panels are both easy to use and place a strong emphasis on making the content taught the center of the classroom experience. Teachers can easily create vibrant interactive lessons for their students. And depending on your interactive panel set up, you can easily wheel the panel to where you need it or tilt it 90 degrees to create an interactive tabletop learning environment. The ability to have students interact with the lesson content is priceless and promotes a deeper learning experience. Interactive panels give teachers infinite new options for engaging their students in a meaningful and interactive way. 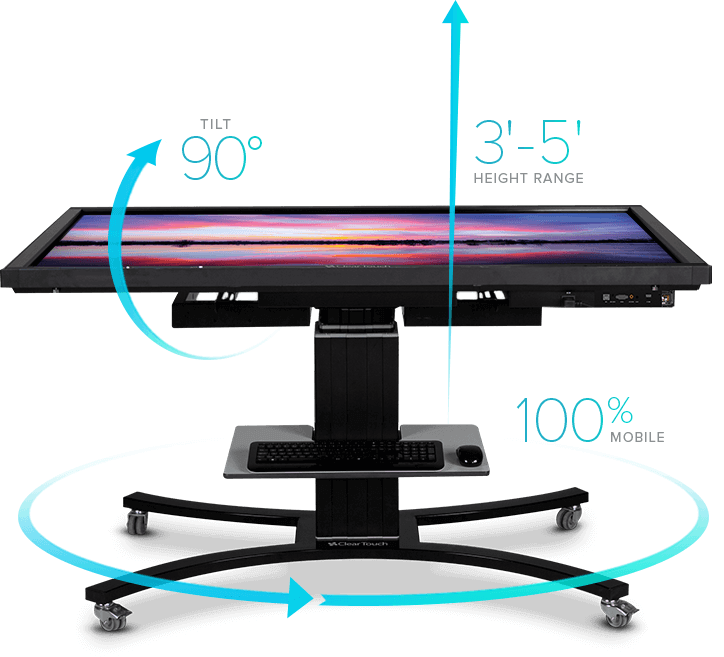 With a 180 degree rotating screen, teachers can easily create an interactive tabletop environment that allows all students, regardless of height or disability. The 20 points of touch also means you can have multiple students work on the board at the same time. In addition, there are 9 integration ports, meaning you can connect with an iPad, computer, DVD Chromebook or multiple other devices. Clear Touch Interactive panels are intuitive, easy to use and allow teachers to spend more time focusing on their lessons—rather than learning a new tool. We provide you with online FAQ and video tutorials to assist with any quick questions you may have.